If a good movie night includes watching aliens attack from outer space, then you should be looking for more movies like Arrival. Things don’t exactly always go as planned when aliens decide they want the earth, would you be ready? 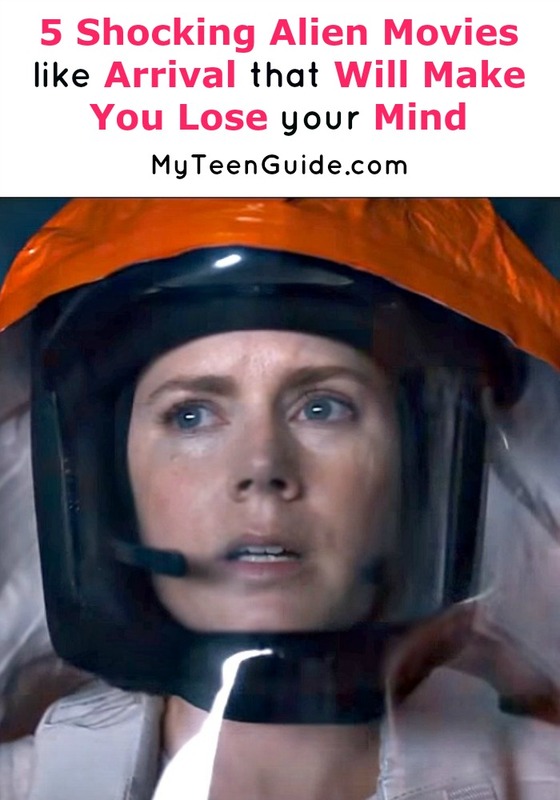 Check out these intense movies like Arrival where the world is about to be flipped upside down. Arrival is an upcoming science fiction drama movie that will be in theaters on November 11, 2016. It tells the story of the life of Doctor Louise Banks, a linguist who is tasked by the United States Army to translate alien communications. The role of Louise Banks is played by Amy Adams. Here are some other interesting movies like Arrival. The 5th Wave is a 2016 science fiction thriller movie that is based on the 2013 book of the same name by Rick Yancey. The film focuses on Cassie Sullivan, who finds herself on the run for survival with her younger brother, Sam, after four waves of horrific alien attacks on Earth leave it mostly destroyed. The 5th Wave stars Chloe Grace Moretz as Cassie Sullivan and Zackary Arthur as Sam Sullivan. Skyline is a 2010 alien invasion science fiction thriller movie. When strange lights appear in Los Angeles, people are instantly attracted to them like magnets. What they don’t realize is that an alien force plans to swallow all of the Earth’s population. Skyline stars Eric Balfour as Jarrod, Scottie Thompson as Elaine, Brittany Daniel as Candice, Crystal Reed as Denise, David Zayas as Oliver and Donald Faison as Terry. War of the Worlds is a 2005 science fiction disaster movie that is loosely based on the 1897 book of the same name by H.G. Wells. The film focuses on the Ferrier family who is in a fight to survive when Earth is invaded by aliens and their towering fighting machines. War of the Worlds stars Tom Cruise as Ray, Dakota Fanning as Rachel and Justin Chatwin as Robbie. Cloverfield is a 2008 found footage monster horror movie that is the first film in a series of two in the franchise. The second movie 10 Cloverfield Lane hit theaters on March 11, 2016. It tells the story of a group of 6 friends who take to the streets of New York City, on a rescue mission, when the city is invaded by rampaging monsters. Cloverfield stars Michael Stahl-David as Rob Hawkins, Odette Yustman as Beth McIntyre, T.J. Miller as Hudson Platt, Jessica Lucas as Lily Ford, Lizzy Caplan as Marlena Diamond and Mike Vogel as Jason Hawkins. Battle: Los Angeles is a 2011 military science fiction war movie. It is about an alien invasion that invades Los Angeles and United States Marine Corps Staff Sergeant Michael Nantz heads a team of United States Marines, United States Army Soldiers, a United States Navy Corpsman and a United States Air Force Sergeant to fight the invasion. Battle: Los Angeles stars Aaron Eckhart as Michael Nantz, Michelle Rodriguez as United States Air Force Technical Sergeant Elena Santos, Ramon Rodriguez as United States Marine Corps 2nd Lieutenant William Martinez and Ne-Yo as United States Marine Corps Corporal Kevin Harris. So are you into these movies like Arrival? I read the book for the 5th Wave, and both the book and movie were well done. Which of these movies are you going to watch?